Green Chillies is an Indian takeaway in Plainmoor near Torquay. We specialise in quality Indian food and Balti dishes, and are consistently recognised as one of the finest Indian experiences in the area. With our mouthwatering range of delicious Indian cuisine, all expertly prepared by our experienced chefs. Green Chillies serves a very large menu from the traditional dishes to some modern variations created by the chef. These include Tandoori Dishes, Balti Dishes and Biryanis and a selection of popular Special Dishes. 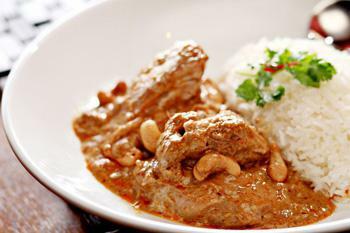 This is a very large menu with familiar recipes as well as some more exotic and less well known dishes. Green Chillies cooks everything on the day and uses fresh spices which is why it is so popular locally. We are excited to have recieved the top food hygiene rating of 5! You can enjoy our great cuisine at home, thanks to our Online Ordering service for all our Indian Takeaway. 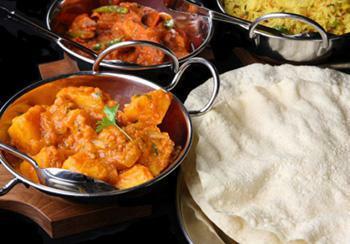 Why not visit our Indian Takeaway Menu to see what we have to offer. We offer both collection from our St Marychurch Road takeaway and delivery to the surrounding area. You can also order your Indian takeaway in advance. Book from work ready for collection on your way home, or arrange delivery for a party later tonight. Gold Club and visit our offers page to start saving with your first takeaway online order. Miniumum order value of £20. Can only be used on www.greenchilliestorquay.co.uk. Cannot be used in conjunction with any other offer. Available for online orders over £30.00. Cannot be used in conjunction with any other offer. The Dish That Launched A Thousand Restaurants. A Classic Favourite Made Even Better With Our Own Special Masala Sauce. A Spicy, Fairly Hot Dish Cooked With Onion, Green Chillies, Tomatoes And Coriander. A Classic Favourite. Mild Creamy Dish Cooked With Coconut, Almond And Cream With A Hint Of Masala Sauce Garnished With Pistachio And Cashew Nuts, Seriously Rich And Sumputous. Here at Green Chillies an Indian Takeaway in Torquay, we have a wide range of menu options. Serving delicious Indian food, we are sure we have something for you to enjoy. Delivery only available to postcodes TQ1, TQ2. During busy periods there may be a delay in the delivery of your takeaway of up to 1 hour and 20 minutes. Please bear with us while we deliver your meal.